During his life, the late Minister Willie Love, Jr. loved others in amazing ways. He and his wife, Shirley Love, were married for over 43 years. 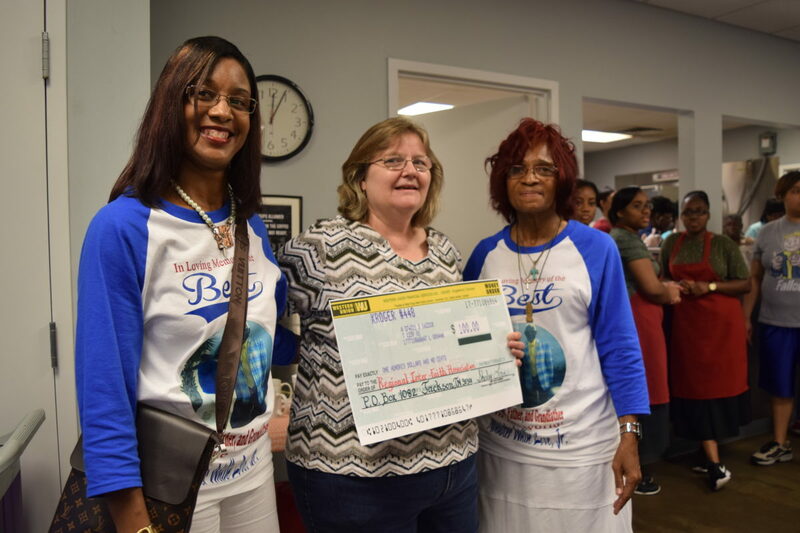 After his passing, Shirley & their daughter Tiffany Love-Newbill felt the need to celebrate his life in a special way for them, and it was an easy choice to give back in honor of his life. For the past three years, the family has chosen RIFA as a hosting place for their benevolence. The mother-daughter duo prepare a special meal the night before Love’s birthday each year and this year was no different. The family decorated the Soup Kitchen, provided music and warm words to remember his legacy. The family also presented a love offering to RIFA in honor of the late minister and community hero. Former RIFA Soup Kitchen Manager and current Volunteer Coordinator, Dan Ward, fondly remembers Minister Willie Love Jr., as a frequent volunteer and chapelin in the RIFA Soup Kitchen. The menu was a real feast: Macaroni and cheese, fried chicken, greens and most of all made with love. Thank you Minister Willie Love Jr., and family for your support of RIFA in such a special way. Help us meet 80,000 Meals!